They say a trip to Panay Island is never complete when you do not go to Boracay. I have been to this famous beach destination several times but never really became a big fan. Sure it has a long stretch of beautiful powdery white sand beach and spectacular sunsets but for me - it is too crowded, too noisy and quite expensive. Perhaps if I wanted to party, be drunk and get wild on the beach, it would be my destination. But if I wanted to relax, unwind and relieve stress, a quiet and far-off spot like Balubadiangan Island is a perfect place to do all these. 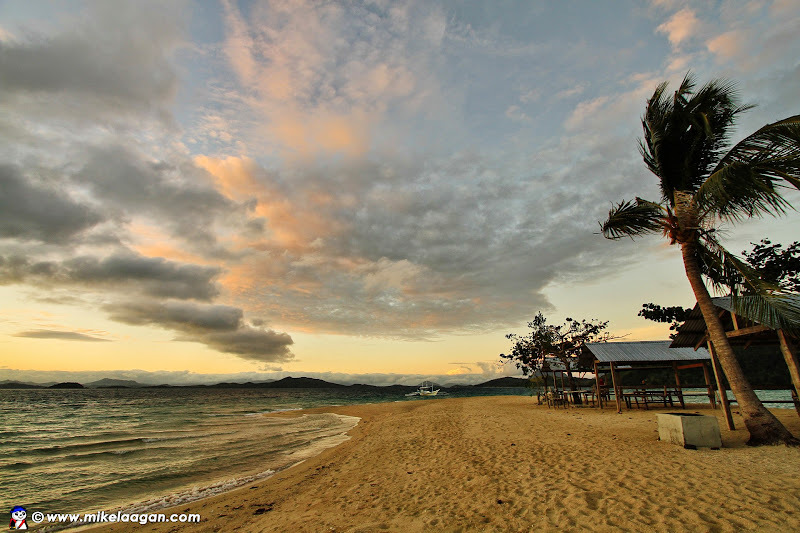 Bulubadiangan Island and its shifting sand bar is tucked in the northeast side of Panay facing the Visayan Sea. 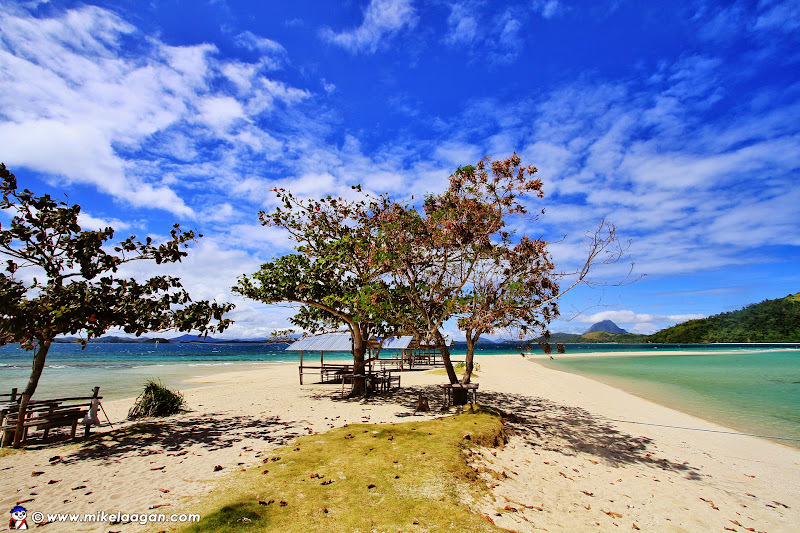 It is a mere 30-minute boat ride away from the mainland Panay and is one of sixteen small islands under the jurisdiction of Concepcion, a town two hours north of Iloilo City. Getting here is relatively easy since there are regular bus trips directly going in and out of the town and jeepneys coming from Sara. It was my second backpacking trip around Panay Island. My first trip in 2014 bridged the Ati-atihan and Dinagyang Festivals while I explore Capiz and Antique in between. 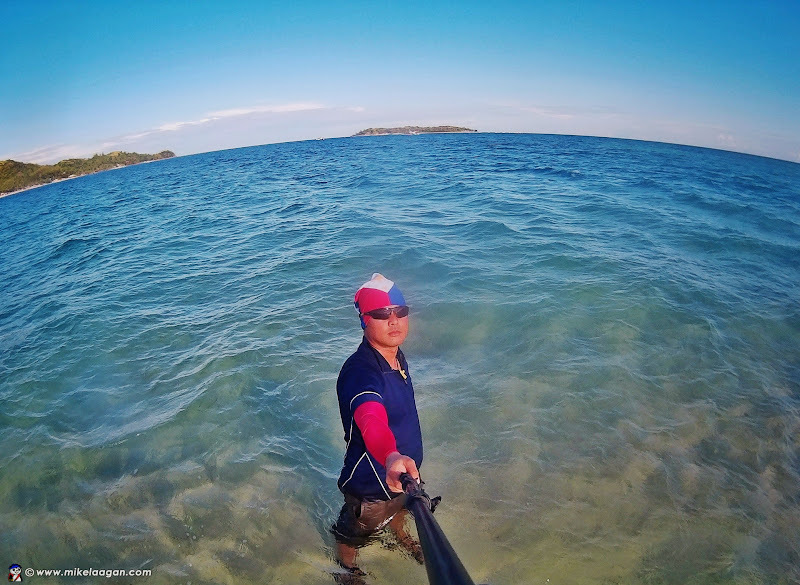 This time, I started my two-week adventure with a return trip to Isla Gigantes in Iloilo and concluded it by going to Balubadiangan Island on Valentines Day. Before heading to Concepcion, I decided to check in my used clothes and other stuff I did not need anymore at the Traveller's Lounge in SM Iloilo so I can travel light. I arrived in the town at mid-morning and bought my supplies at the marketplace after satisfying my hunger in one of the eateries. The weather was perfect for a getaway. I arrived in the island with barely a soul in sight. After a short discussion with the caretaker of Sandbar Island Beach Resort and informing him that I will stay for the night, I started to explore the island. The images I have seen on the Internet were beautiful but I never expected it to be as charming and impeccable as what was before my eyes. The sea was very calm and inviting with its turquoise water hitting the white sand beach softly. The setting was so serene and made me utter, "I could stay here for a lifetime!" The white sand may not be as powdery compared to Boracay and Calaguas but the stillness of Bulubudiangan Island and its proximity to the mainland is what makes it uniquely exceptional. I spent the rest of the afternoon roaming around the whole island - walking through the beach, rock formations and the small community at the back of the island before I headed to the sandbar. I walked all the way to the end of the sandbar and further soaked into the water trying to find out how far I can go. I finally stopped when I felt the water rising up and the waves getting a bit stronger. The other island seemed reachable if I only had a kayak with me. Took the selfie above (yes, I am starting to take selfies already) before I decided to go back. And I felt hungry already after walking around the whole island. The day could have not been more perfect as I wait for the sun to set in the west. The wind was blowing gently as darkness starts to creep in. The island was so still and peaceful. The only sound that I heard came from the waves that gently hit the shore and the dogs playing in the sand. I set my footprint on the beach after taking my dinner. I laid on my back, looked up in the sky and started stargazing. This is the life! Two shooting stars passed by and I blurted out a wish! It was only a matter of time before I fell asleep on the beach. I woke the following morning with a chill as the cold breeze hit my face. It was a fitting way to end my 2-week trip around Panay Island. The stay at Bulubadiangan Island was relaxing. It gave me time to clear some thoughts and gain peace of mind. The chillax trip was also refreshing as I was able to sooth my aching back which was tired from my backpacking trip. Before I finally bade goodbye to the island, I had my picture taken with my mascot, Utazo. On the background, is the sandbar and the towering Pan de Azucar circled by clouds. Iloilo can be reached by plane from Manila, Cebu City and Davao City. There are also ferry boats going to Iloilo city from Manila, Cebu City and Bacolod City. From Iloilo City, head to Tagbak Bus Terminal and take the bus going directly to Concepcion. Alternatively you can take the buses going to Sara and take the jeepney from Sara to Concepcion. Travel time is around 2 hours. From the fish port or dock, rent a boat going to Bulubadiangan Island. 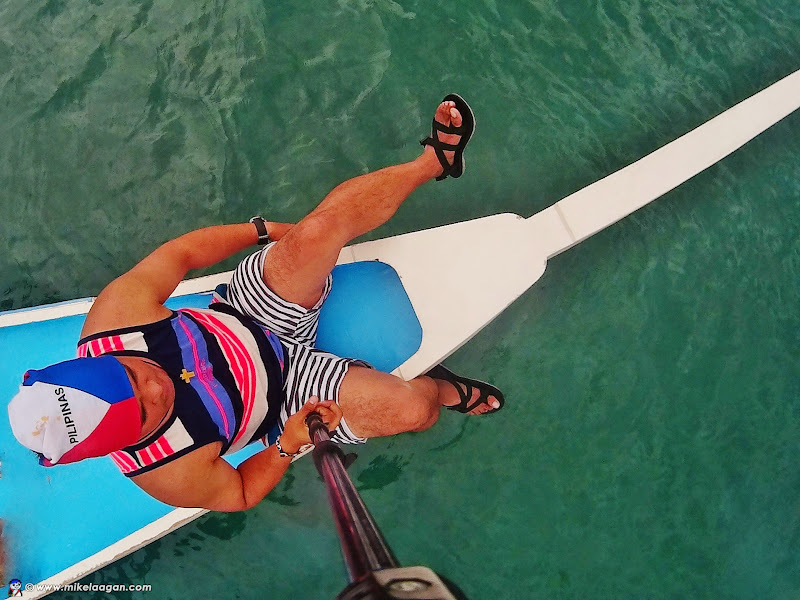 The trip is around 30 minutes and round trip boat rental is Php 1,500. Roxas can be reached by plane from Manila. From Roxas City, take a van or bus going to Sara, Iloilo then take the jeepney from Sara to Concepcion.Travel time is around 3.5 hours. The Municipal Tourism Office is located just a few meters away from the bus stop. They can help arrange trips to the island. There is no food or drinking water in the island. Supplies can be bought in Concepcion town proper. The electricity in the island is only from 6PM to 10PM. Low tide occurs in the morning and you can walk all the way to the end of the sandbar and find a coral at the tip of the sand bar dueing low tide. 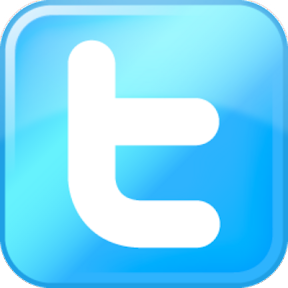 The island is small and can be explored in less than an hour. Cottages range from Php 1,000 up. Entrance fee per person is Php 25. Tent rental is Php 500 and can fit up to 4 people. If you have your own tent, payment is Php 300 per tent. There are several trees where you can hang a hammock. 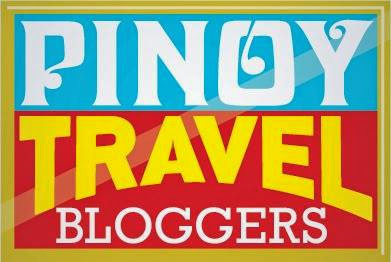 There are other islands that can be explored for an addtional Php 1,000. This includes Agho, Mangalabang and Pan de Azucar Islands. Pan de Azucar can be climbed within a day. Buludiangan has a great view of sunrise though there is also sunset in the island. You can ask them to cook your food for a fee. what's the last time for the boat trip from Bulubadiangan going back to mainland? there are no boats going regularly to the island, one has to rent a boat. Truely it is a must visited place in Panay. I FOR one been there. Amazing place, great shots! Its on my list na. The weather was perfect when i arrives in the island. thanks for dropping by! I'm planning to have 5 days trip to Panay Islands Loop. 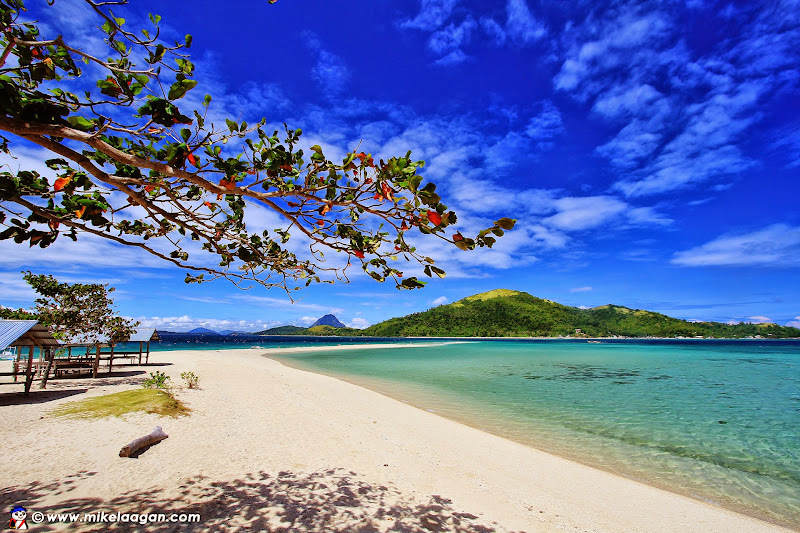 I would like to include this island and Gigantes Island. Would it be possible? Any suggested itinerary I'll be coming from Manila. Gigantes and Balubadiangan are both in north iloilo but will take up a combined 4 days including travel time in both land and water. you can go direct to Gigantes via Estancia and spend 2 nights there. on the 3rd day, proceed to Balubadiangan via Concepcion and spend a night or two in the island and return to iloilo city on the last day. Wow! Thanks so much for sharing this. This was very helpful. I was looking for a peaceful and quiet alternative to boracay near iloilo city. Found it! 1,500 per head? or per boat travel? what if I'm traveling alone, do I need to pay the boat by myself? Php 1,500 for the whole boat sir, round trip. Hi sir, is it possible to visit bulubadiangan and other island in 1.5 days? And do you have contact number of the boatman or we should hire one through the tourism office? Thank you! 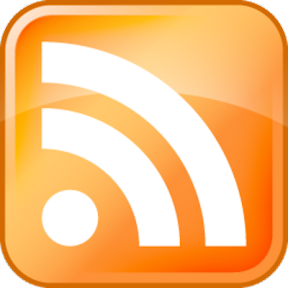 its possible, but i do not really recommend. i would visit bulubudiangan to relax and relieve stress. the tourism office will assign a boat for you. 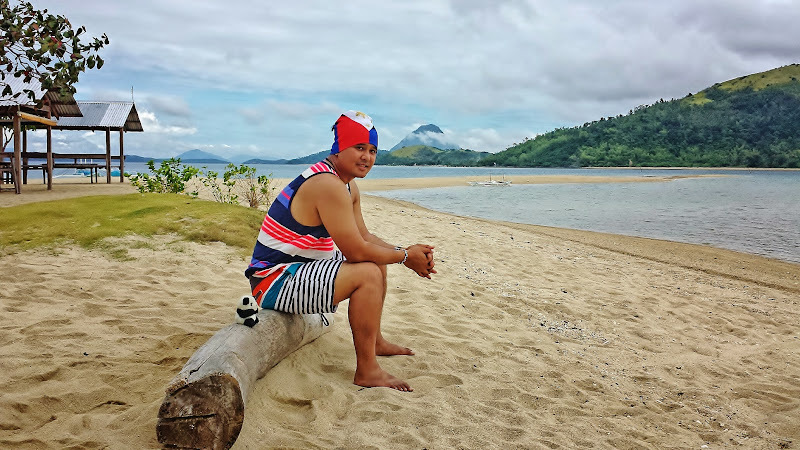 This beautiful site in Panay Islang, you like the Panay Island because of beautiful powdery white sand beach that have but quite expensive, Balubadiangan Island is a perfect place to relaxation. You have a nice travel. no hotel in the island now? none, but there are huts. We were able to visit this island during our "Around Panay Island" trip last 2016. Unfortunately, the weather was gloomy and so we weren't able to enjoy the island's beauty as shown by your photos. There were also plenty of trash on the island (even diapers) when we got there. Maybe because it was off-season so the locals did not care. Regardless, they should have maintained the island's cleanliness. Also, the visitors must practice LNT (leave no trace).